Aida truly becomes Ophelia as she learns for the first time what it is to be human and to feel. 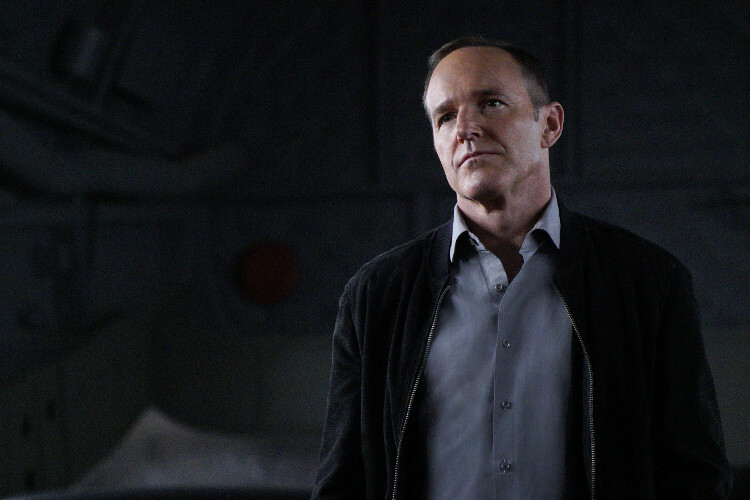 Coulson has a hard time explaining what’s gone on to May and Fitz-Simmons deals with the aftermath of The Framework. The struggles are still real for Coulson and May. As they come to terms with returning to the physical world, Coulson has a hard time letting May know what she missed. The robots and Ghost Rider are easy updates, but what happened with Robo-May is a bit finer a line to cross. Add to that, May’s idea of “making a move” on Coulson is just about the most May thing to have ever happened. They’re a 1960’s sitcom couple, they just haven’t quite realized it themselves. For the sake of fanservice, I do hope the finale finally sees them together even if it’s just for a moment. There has been a whole lot of Ross & Racheling over the years and to end the season after so many teases would be a shame. Agents of SHIELD Right Now…I’m Feeling It. Yes, that was a Blink-182 reference in the subheader. No, I am not sorry. I’m glad that after everything that Aida has caused, Ophelia doesn’t rest in a fully reversed perspective. It’s interesting the position this puts us in as viewers. The fact that she’s dealing with feeling pain and heartbreak for the first time could make her an entirely sympathetic character. However, this isn’t the way it went for me. Aida wanted to become human. And while there is a reward in that, there is also a risk. Being human and gaining freedom of choice brings with it inherent hurt. It is the human condition. This is what you earn with choice. You earn the risk of pain. You live through and feel every pin prick. Every broken bone. Every broken heart. The emotional motivation is there, and understandable, but it’s self-inflicted. I’m somewhat relieved to see Ophelia isolated on her own island despite the wrath it’s assuredly bringing. Fitz, worried who he is at his core, feeling he could never again be the man Jemma loves. Jemma herself worried that he’s ready to leave their life for one with Ophelia. And their unspoken reunion may be the most emotional moment to happen on AoS. Clearly there is a lot to work through for them but to see them accepting each other in that moment finally brought a win. However slim that win, the tortuous path Fitz has been on this year is finally earning some warmth. Next week, just before the season finale, we’ll hear whether or not Agents of SHIELD gets a fifth season. If we hear that this is a farewell to the series I’ll be bummed but not disappointed. Why won’t I be disappointed? Because if it all comes to a close at least AoS will have ended on a high note. This season has been a swan song. The potential that has been at the core for years finally bubbling to the top. I won’t be disappointed because story, characters, and visuals all got their due. Will it be sad if we hear it’s ending? 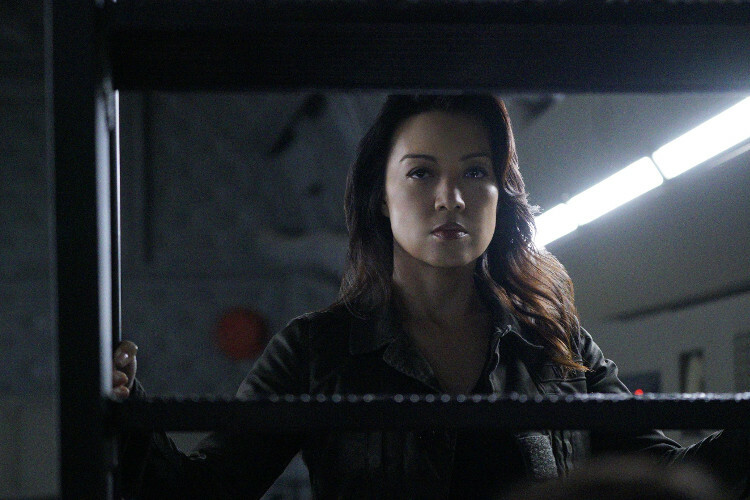 Of course, but it also means we’ll be able to celebrate Agents of SHIELD with a spy’s goodbye. The way it should be. Agents of SHIELD airs at 10/9 central, Tuesdays on ABC. Mikey is a big nerd. Along with writing for Push Your Glasses Up, he also co-hosts its podcast form.